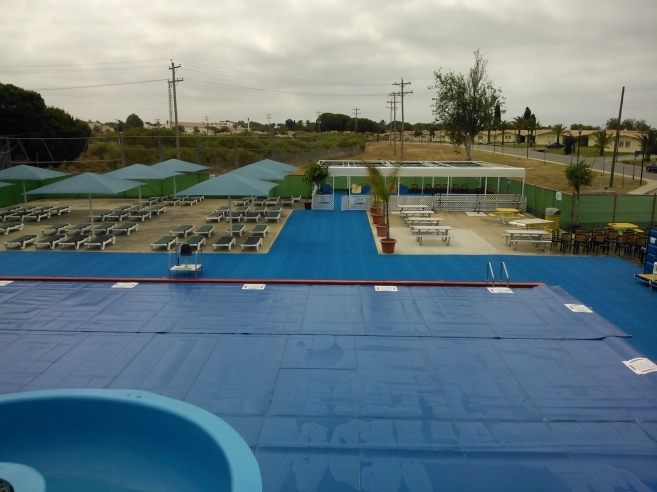 Recently, Bob and Rob took a trip to Spain where they supervised the installation of our Aquatic Matting at the U.S. Naval Station in Rota. The application was for the station’s swimming pool. 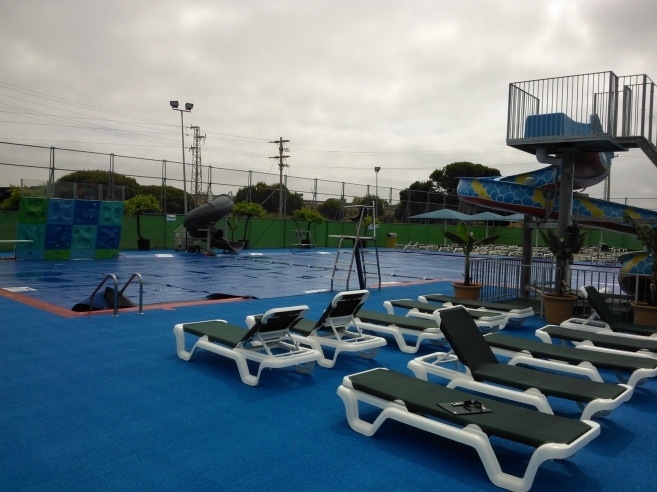 It is vital, that the space around the pool contain textured surface to combat against slips and falls during training exercises. As you can see, our aquatic matting is blanked across the entire facility. In case you were wondering, it took 95 rolls of our PEM flooring to complete the project—one of our biggest projects of the year. You have to admit, the blue color really enhances the overall aesthetics of the facility. The installation went very well. The crew from Newimar, the Spanish contractor who performed the install, was extremely sharp and required only a day’s worth of training. It was an absolute pleasure to work with such a talented group of hard-working professionals. Hopefully PEM and Newimar will be able to collaborate again on future projects.